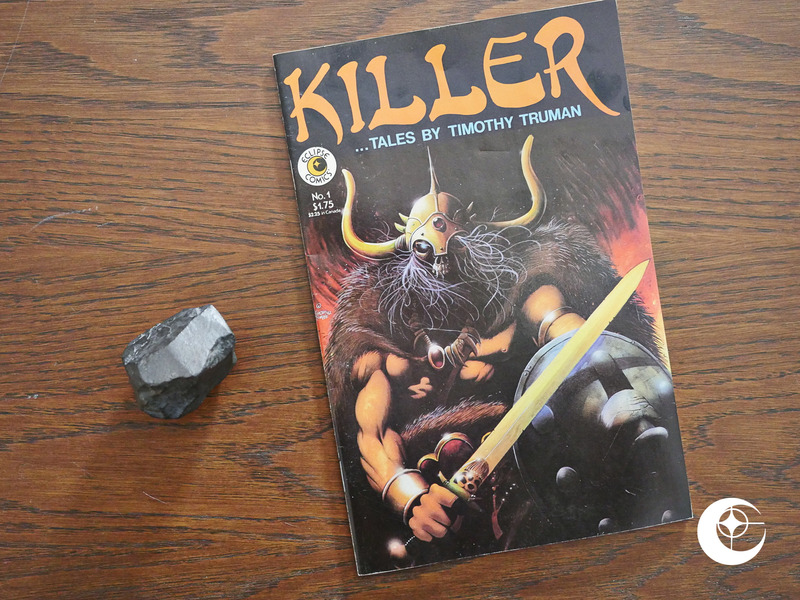 Killer… Tales by Timothy Truman (1985) #1 by Timothy Truman et al. 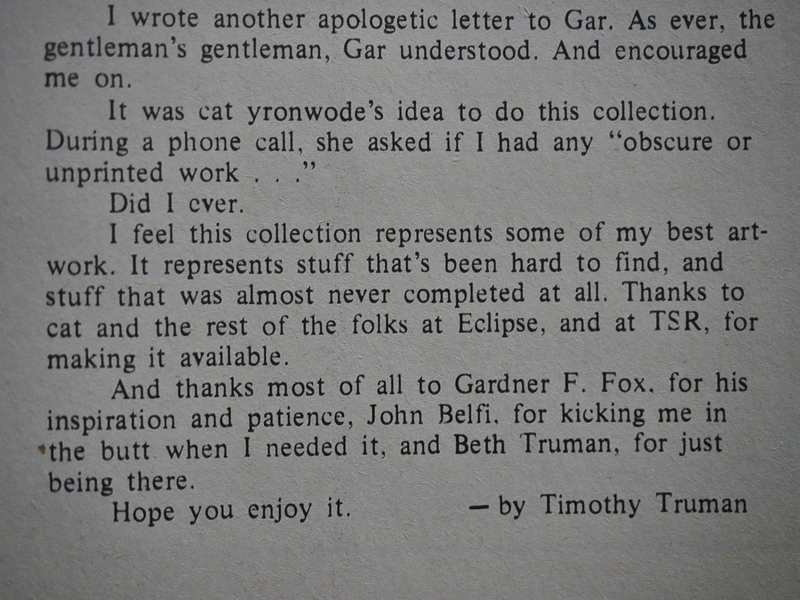 I couldn’t quite place Timothy Truman’s name: It’s possible that I’ve never read any of his books. 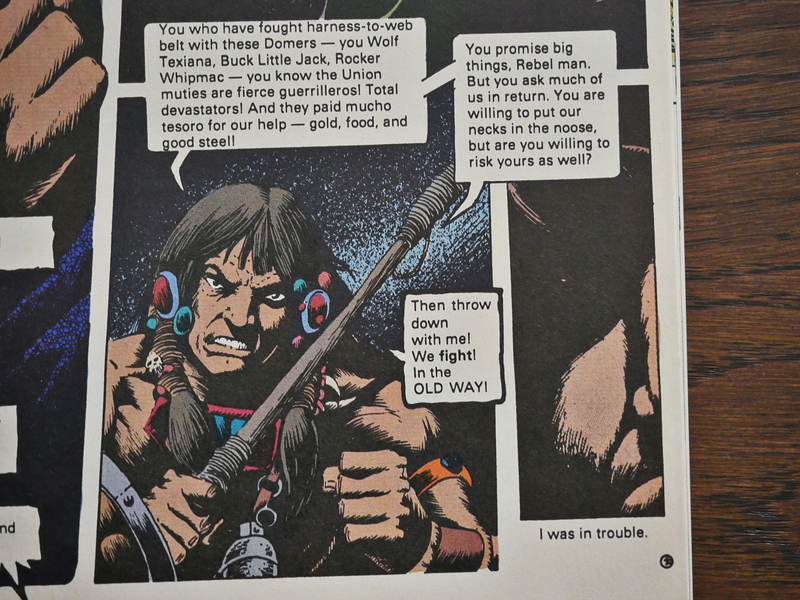 But he was apparently kind of a big deal in 1985: He was the artist on Starslayer and the creator of Grimjack, both at First Comics, and both moderately successful, I guess. This book is not one of those. 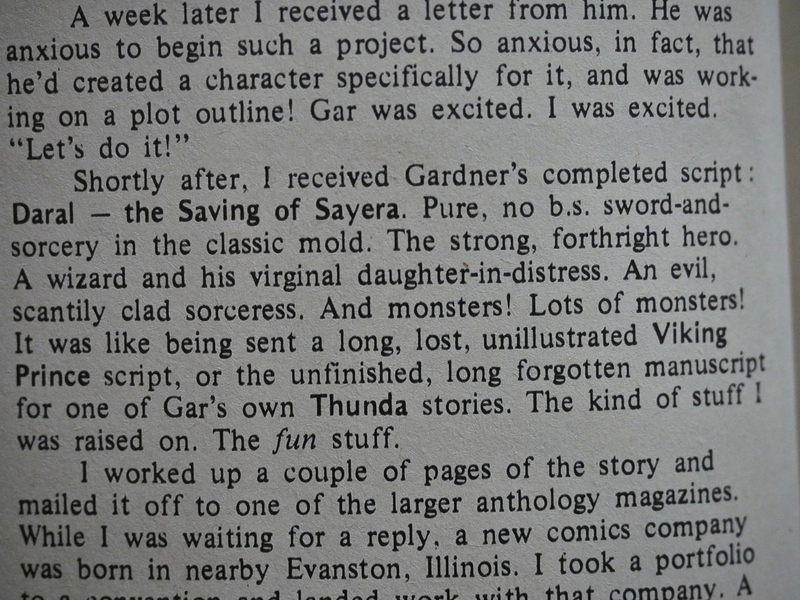 The first story here is written by Gardner Fox, who’s was an old veteran at DC Comics, writing pretty much anything there. 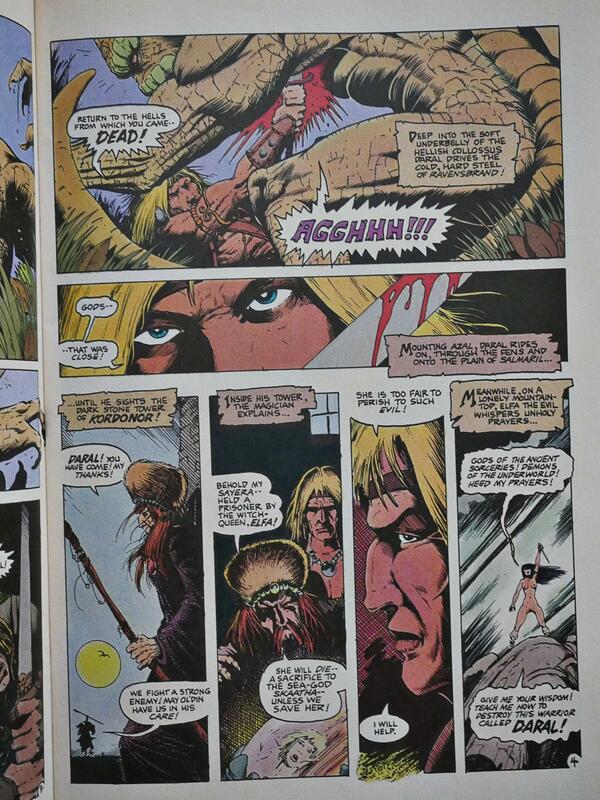 I didn’t much connect his name with sword and sorcery, though, but that just goes to show how much I know. I mean, just look at those names on that single page: Daral, Azal, Salmaril, Kordonor, Ol’din, Sayera, Elfa, Skaatha! It’s like those names were created by some kind of sword and sorcery-fed Markov chain. I mean, “AI”, as it’s called today. So, er… Why? Why would Eclipse print this? Oh, I see. Yes, snakes are very popular with kids. Truman explains how the book came together. He was working for game specialist TSR doing various things (some of which are printed after the main story), and got in touch with Fox, and Fox sent him the script. “The kind of stuff I was raised on. 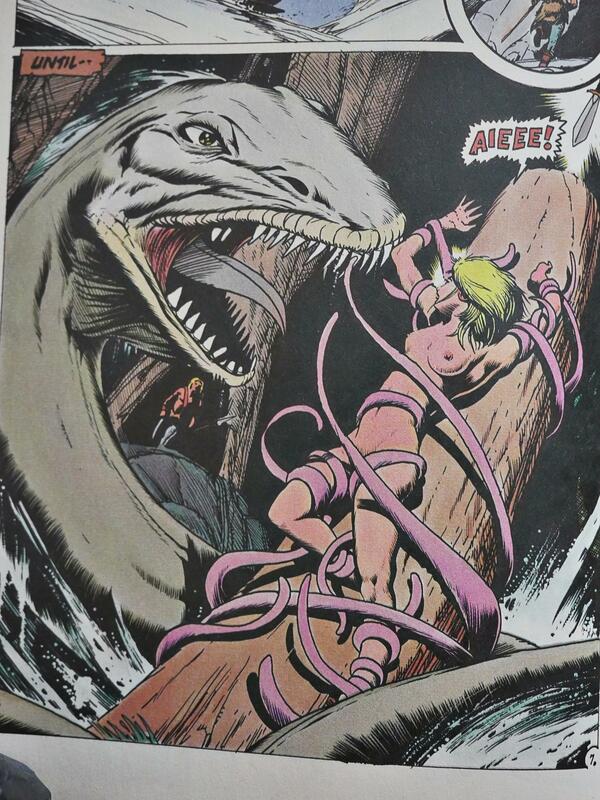 The fun stuff.” He contracted with Pacific Comics to publish it, but they went belly up. And then we ended up with this being published, which was the start of Eclipse’s publishing strategy for the next year or so: Single artist collections of obscure stories and artwork published as standalone comics or two-issue series. My guess is that this was more a question of economic prudence on Eclipse’s part than any burning passion to get stuff like the above into the hands of a captive comics audience. Obscure and unprinted work is probably cheap to obtain.